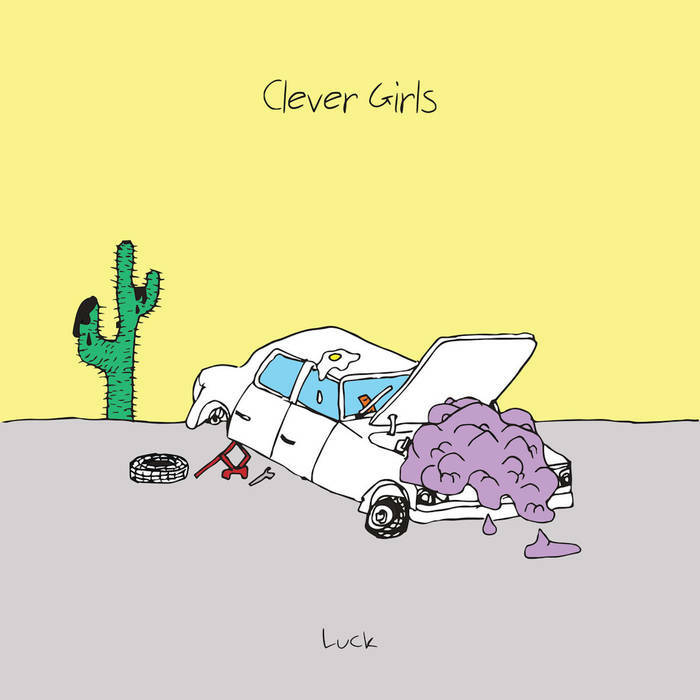 Clever Girls are a grungy garage band with alt-country influences from Burlington, Vermont., comprised of W.T. Holt, Diane Jean, Rob Slater, and Tobian Sullivan. Ahead of the release of their forthcoming record Luck, which is being self released, they’ve shared two videos including “Dumb Smile” which is featured below. The video begins with a somber yet heartfelt voicemail being left from a hardworking person to a lover, juxtaposed against images of the band eating pizza together. Despite the melancholy opening, the video features Clever Girls clowning around an arcade together with bumper cars, arcade games, skee ball, and batting cages. As lead singer Diane Jean sings about missing the love of another - the company of her friends and the ear to ear smiles of the band create an amusing and intriguing clash of emotions. The video reminds me of Smith Westerns' "Weekend" video, and the music finds itself somewhere between WIlco and a fuzzier Breeders. Alt-country guitar roots are overshadowed by overdriving guitar rock power reminiscent of Pavement shining through towards the end. They’ll be touring the east coast this spring with dates in Boston, New York, Philly and Richmond. Some dates will be with Rhode Island’s Night Nurses.